On August 22, @CultureThemes ran #MusMeme for the monthly hashtag. As I often talk about, finding a hashtag once a month isn’t always easy and there is a balance of finding a hashtag that works with the public and culture venues alike. 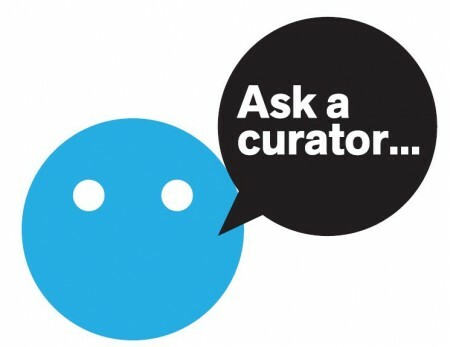 For August, I usually try to find a hashtag that will be quirky-ish but light as September is always busy with #AskACurator Day (September 12th 2018)…. did I get that one wrong! 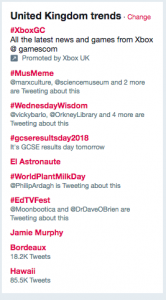 Our next CultureThemes is going to be #MusMeme – a day to share memes all about museums, galleries, art, collections, etc. on August 22! The general idea is to let the public and museums have a bit of creative license and fun with collections. Simple, right? 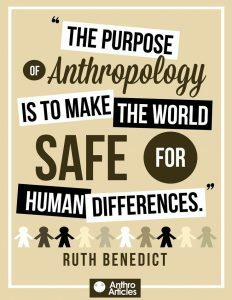 If people got involved, great! If not, that was ok to! It’s a word we tend to use a lot but never really define as we also spend a lot of time pretending to think like the ‘user’ or ‘visitor’ – mapping out ways for the them to see the exhibition/collection with a sprinkle of ‘entertaining’ activities. However, us humans, we’re a funny lot. We don’t always behave as we’re expected. That could be due to translation (language barriers), rebelliousness (raises hand), miscommunication or boredom. Actually, feel free to insert your reason as I’m sure I haven’t covered them all. A typical scenario is a family (of various size, for this I also mean grandparents, friends with kids, etc) that enter and try to figure out where the starting point is. Or a map. In fairness to museums, often there are wonderful Front of House that try to assist and breakdown any barriers but it’s often the family that are feeling to awkward to ask for help. 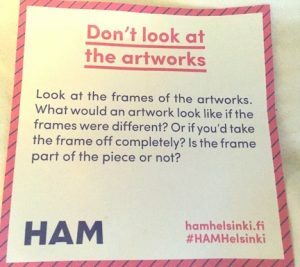 When I was in Helsinki I noticed Helsinki Art Museum (HAM) had post-it notes for visitors to take when they enter. They were in the middle of the room on a standalone pedestal (and yes there are front of house people there also). No barriers, no awkwardness. People knew to go and take one. They were also in 4 languages (Finnish, Russian, Chinese and English as they are the top visitors). It was such a genius concept on it’s own but the notes are so clever I had to share! 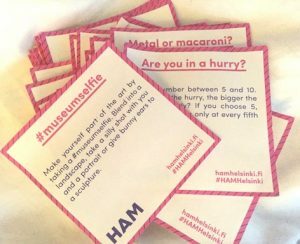 I’m sure HAM wouldn’t mind anyone using these ideas (always best to credit them) or better yet – reach out to them and tell them how awesome they are! From July 27th until August 1th, I ran a simple 8 question survey called Does Social Media work for Cultural Sector. Why? Because I was working on a blog post and Tweeted to find out if anyone could point me to any research that would prove, or disprove, whether Social media does indeed work within the Culture sector. To my surprise, it seemed that this question hadn’t been posed and there certainly didn’t seem to be any research or analysis to answer my question.